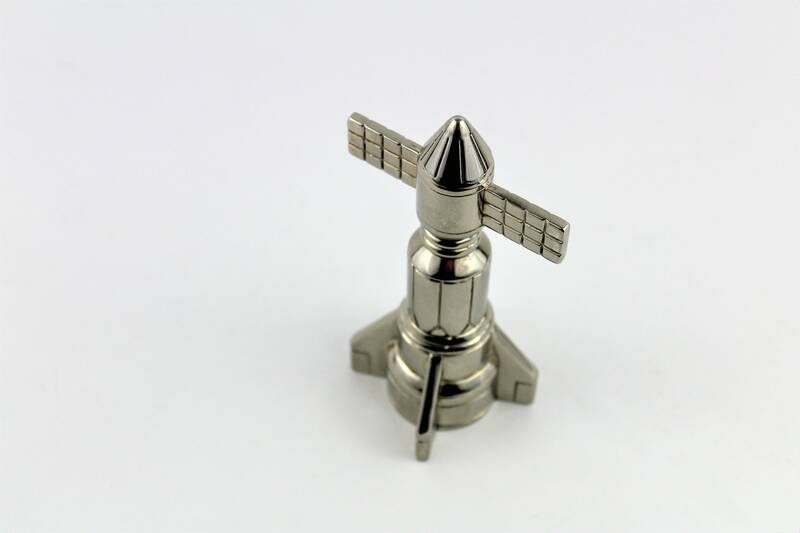 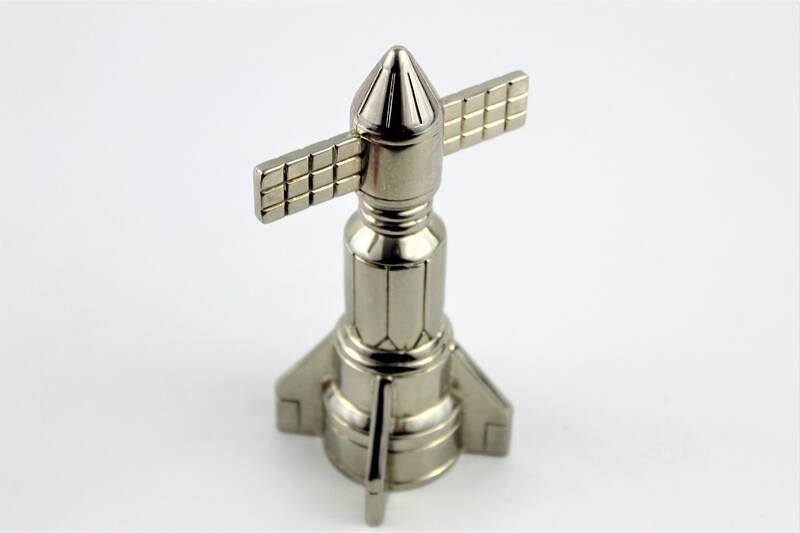 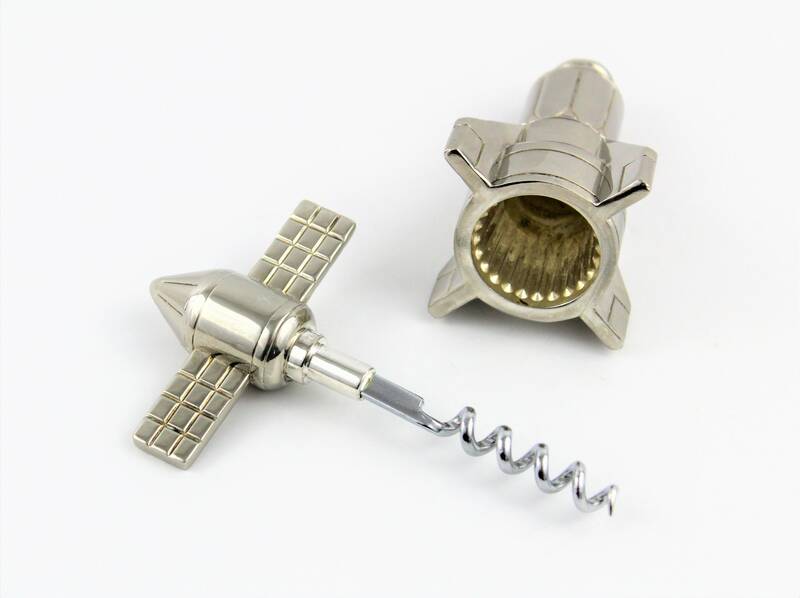 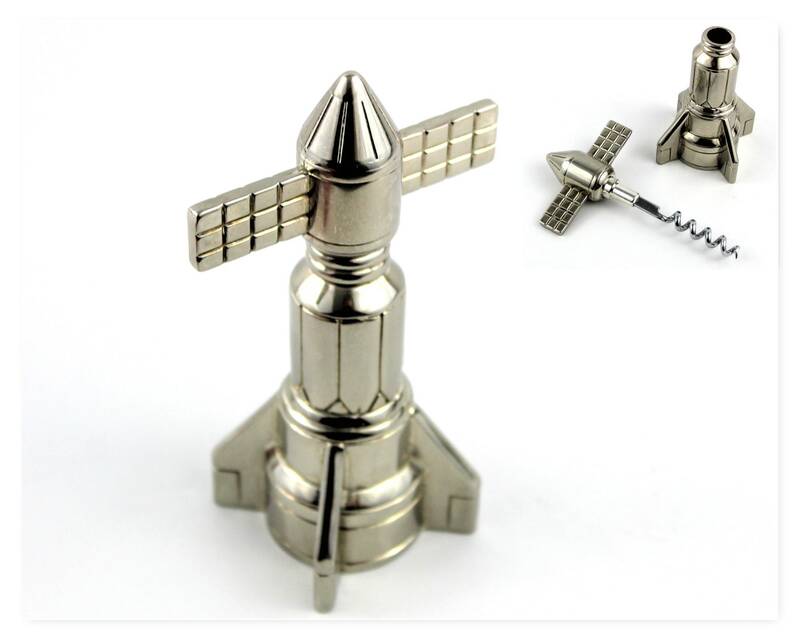 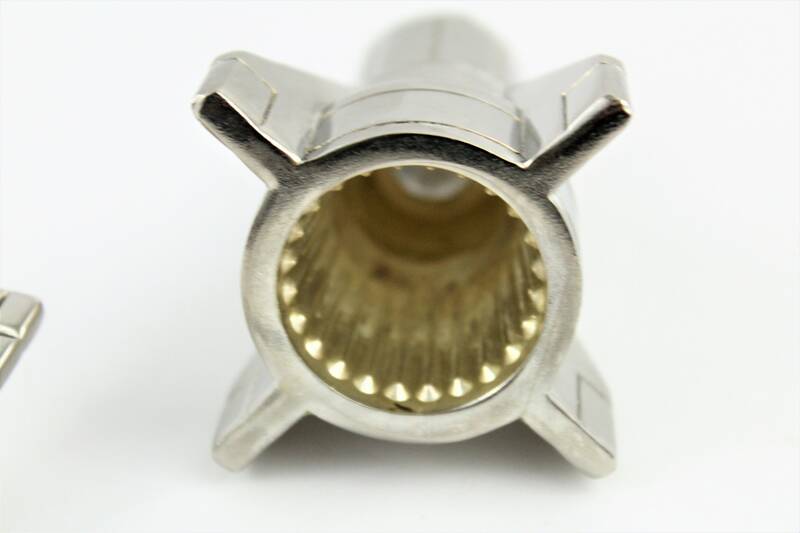 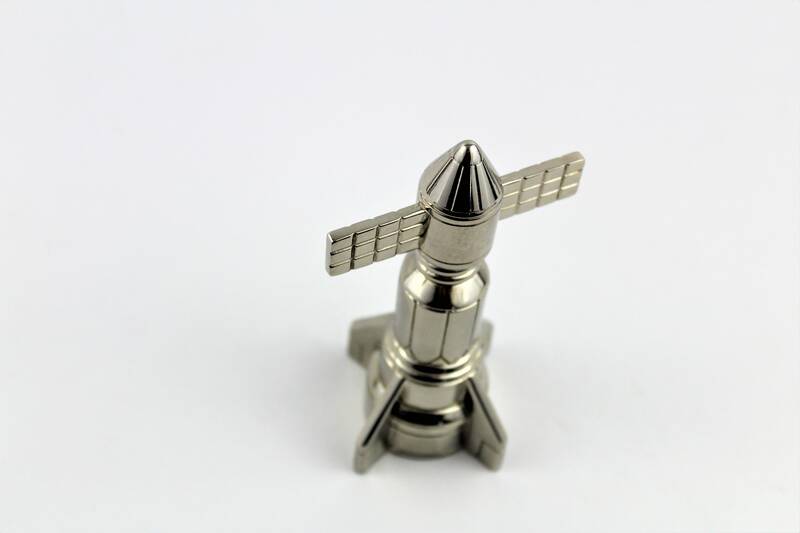 Wonderful Silver-plated Rocketship corkscrew and bottle opener made by the International Silver Company. 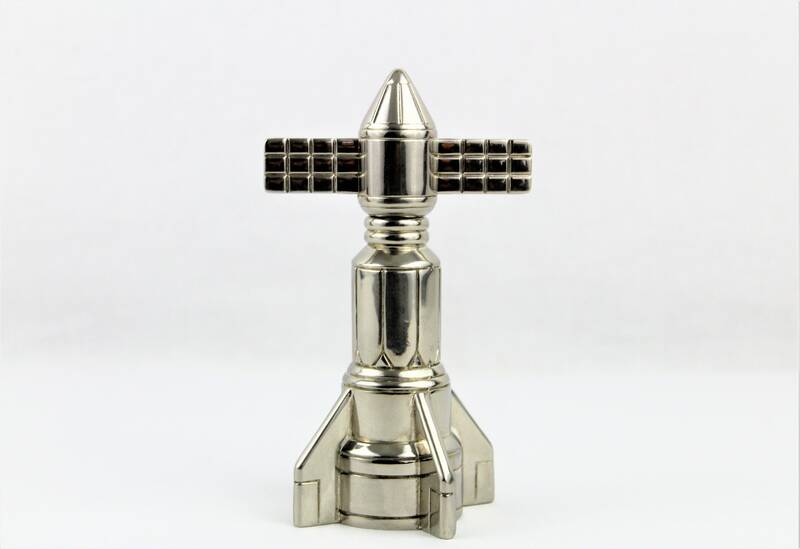 The Rocketship resembles the Atlas Rocket from 1957. 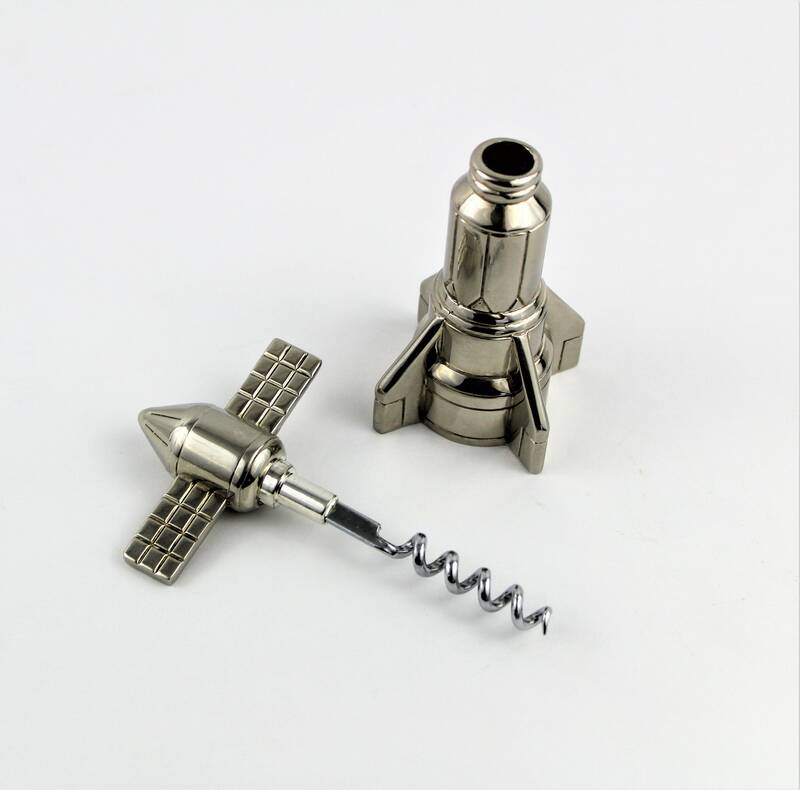 Made of a heavy sturdy silver-plated alloy, lift the top off to reveal the hidden corkscrew and at the base is a bottle opener.